The RIT men’s hockey team (6-6-1, 4-4-1 AHA) were completely shut down by the Air Force Academy Falcons (7-7, 7-5 AHA) on Nov. 30, 2018 and Dec. 1, 2018, at the Gene Polisseni Center. The Falcons bested the Tigers by a score of 3-1 on Nov. 30. The next day, they shut the Tigers out on Dec. 1, 3-0. This was the first time that the Tigers played the Falcons and it will be the only time they do so during the 2018–19 season. 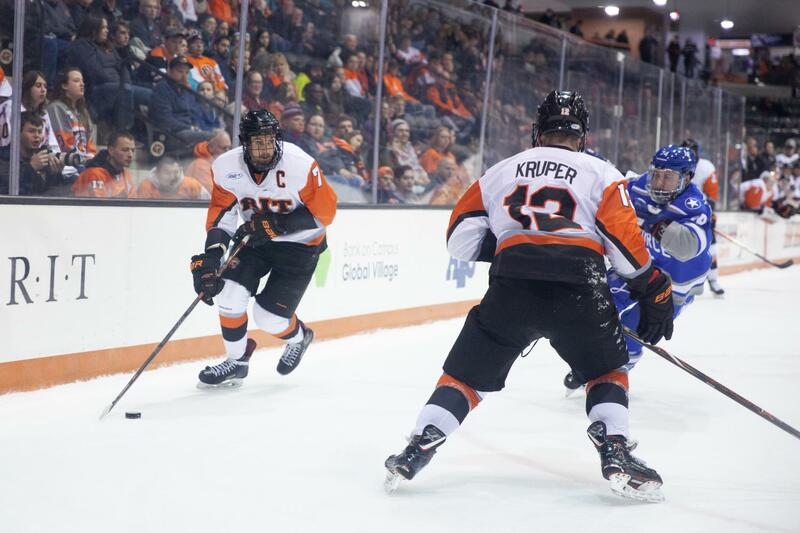 The RIT men’s hockey team won their first three home matches of the 2018-19 season and looked to stay perfect at home when they faced the Air Force Academy. Prior to the games this weekend, third year Finance major and defenseman for the Tigers Brody Valette had his eyes set on staying perfect. First year Business Management major and forward for the Tigers, Kobe Walker, has been getting playing time and helping the team succeed. He was also looking forward to these past weekend's games. The Friday night game started off with Air Force Academy controlling the puck through the first five minutes of the first period. Due to the chances, second year Business Management major and goalie for RIT Logan Drackett had to come up big for the team. Thanks to his fight, the first period ended with no team scoring. The second period started off well for the Tigers. 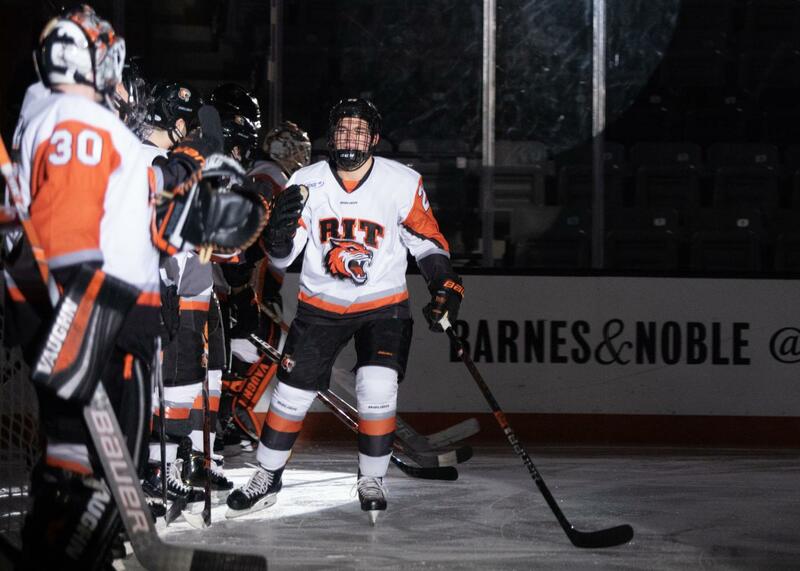 According to RIT Athletics, second year Business Exploration major and defenseman for RIT, Dan Willett scored his first goal of the season. He tricked the Falcons' goalie, Billy Christopoulos, by shooting the puck above his glove. The Tigers took the 1-0 lead. Later in the second period, Drackett made a huge save on a break-away opportunity to keep the game 1-0. With about a minute left in the second period, Kieran Durgan of the Falcons tied the game up on the power play. Both teams left the second period tied 1-1. Our men’s hockey team fell apart in the third period. Air Forcer player Evan Feno scored eight minutes into the third period. The Falcon forward got in front of the Tiger net and pushed the puck past Drackett. The goal was under review for goaltender interference, but the referees concurred that it was a good goal. The game was now 2-1 in Air Force’s favor. Late in the third period, as RIT attempted to get back in the game, Matt Pulver scored for the Falcons on a break-away. He put the nail in the coffin. Towards the end of the game, fourth year Accounting major and forward for the Tigers, Gabe Valenzuela, got a 10 minute misconduct for unsportsmanlike conduct. The Tigers lost 3-1. RIT had 19 shots while Air Force Academy had 29 shots. The Tigers had four powerplay opportunities but couldn’t cash in on one. The Falcons were able to score on one of their three powerplays. In the Tiger net, Drackett stopped 26 of 29 (.897) shots, while Christopoulos stopped 18 of 19 (.947) shots for the Falcons. The first period of the second game started off with the Tigers getting some confidence by finding good chances. Both teams had a few opportunities on the powerplay, but no one could find the net after the first period of action. The second period had numerous moments of roughing penalties given out to both sides. According to RIT Athletics, midway through the second period Feno got a shot off of his own rebound and scored, giving the Falcons a 1-0 lead. RIT had an opportunity to score late in the second period. Fourth year Packaging Science major and forward for the Tigers, Abbott Girduckis, got a 1-on-0 short-handed chance. Falcons goalie Christopoulos was able to stop the shot from going into the net. The third period started off with Evan Giesler scoring on a wide-open net during a powerplay. He increased Air Force Academy's lead to 2-0. Our men’s hockey team was starting to become sloppy as the third period carried on. They had numerous powerplay chances but could not cash in on any of them. Finally, with a minute left, Feno scored his second goal of the match by exploiting the empty-net. 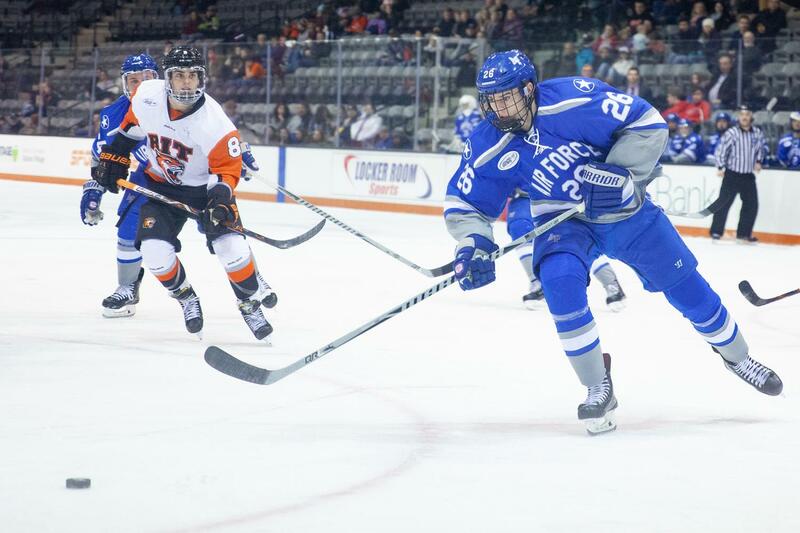 RIT pulled Drackett to gain an extra skater, but it ended up giving the Air Force Academy a 3-0 lead and a second game win. It was Feno’s third goal of the series. Despite the loss, the Tigers had 31 shots compared to the Falcons 24 shots. RIT could not score on any of their five powerplay chances, while the Falcons scored on one of four chances. In the Tiger net, Drackett stopped 21 of 23 (.913) shots and Christopoulos stopped all 31 shots (1.000) for the Falcons. Will The Tigers Turn it Around? Our men’s hockey team continues their home-stand through the end of the semester.  They will play the Sacred Heart University Pioneers (3-8-2, 3-6-1 AHA) on Dec. 7, 2018 and Dec. 8, 2018. The Tigers will be looking for revenge, as this will be the first meeting since the Pioneers knocked them out of the 2018 AHA Tournament. RIT will then play the Niagara University Purple Eagles (7-8-1, 7-4-1 AHA) on Dec. 15, 2018. This is a peculiar meeting, as RIT will only play them once despite most conference meetings being two games. Will the Tigers turn this losing streak around?